There are times i.e. indoor pools, where the floatron may not be suitable i.e. indoor pools, in these circumstances we recommend the Puronizer which in our opinion is a brilliant piece of kit. 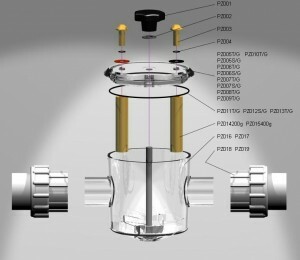 The Puronizer ioniser system is manufactured by APS UK – England and is for use in swimming pools. The Puronizer system brings to the pool owner a simple to use method of ensuring quality water with very little effort and no algae. From installation, the Puronizer works totally silently. As your pool water passes through the in line cell unit, copper and silver ions are released killing bacteria and algae.